I am glad I bought. It is very elegant. I absolutely Love these sunglasses! They're timeless and classic and are perfect for petite faces. The case it comes in is classy, too. I had been looking for "dressier"sunglasses for a while and am glad I took the plunge. Definitely glad I purchased! Received the sunglasses on time for Christmas. Very High Quality. Happy with the purchase. 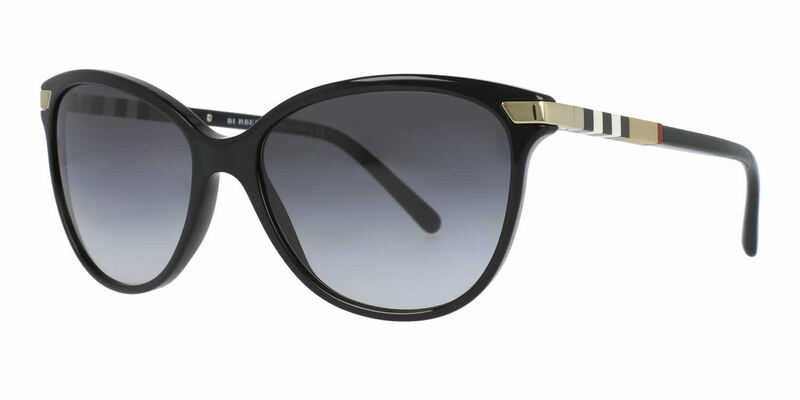 I love this new frame from Burberry, I have an oval face and the frame size was perfect. Glasses arrived quickly from the time ordered along with authentication of the glasses. I cannot wait to wear them! It goes with any outfit. Its my 4th purchase from FramesDirect.com and I couldn't been happier.